Microsoft just surprise launched a new Forza game, although it isn’t exactly Forza Motorsport 8 or Forza Horizon 5. No, Forza Street is a simple arcade game, featuring “streamlined” controls, which is to say the game is entirely controlled with the left mouse button. 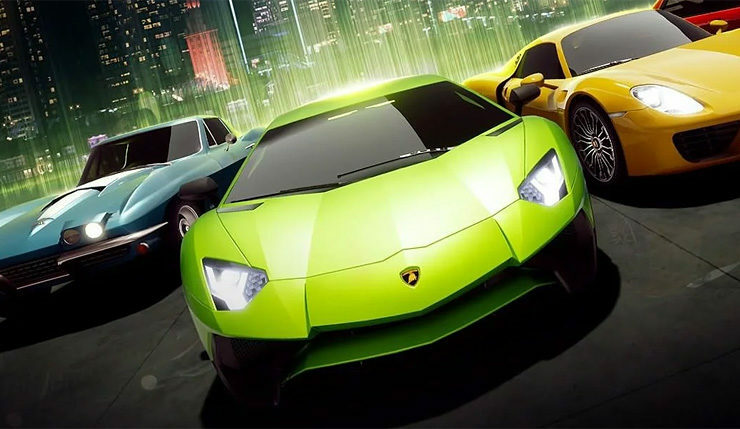 The game is all about managing your car’s velocity around corners – click to speed up, release the button to slow down. So yeah, Forza Horizon is a pretty straightforward game, but it also looks fairly polished. You can check out a trailer and description, below. Forza Street was designed for racing on the go with streamlined controls that focus on timing of gas, brake, and boost as the keys to victory. In Forza Street, new Forza fans and seasoned drivers alike can collect and assemble a legendary lineup of cars to compete in intense, cinematic races. Whether players want to squeeze in a quick one-minute race or get immersed in a story campaign, every race is a chance to earn a performance icon from an ever-growing list of incredible cars, turning your garage into a trophy case. Interestingly, Forza Street appears to be an update to Miami Street, a game Microsoft very quietly released for PC back in 2018. Many expected Miami Street was some sort of prototype or test case for a future Forza game, and it seems that was, in fact, the case. While Microsoft’s announcement credits Forza Street to usual series developer Turn 10, Miami Street was the work of UK developer Electric Square, and it seems like they’re still doing the heavy lifting here. Forza Street is free to download on PC right now. iOS and Android versions should hit the streets sometime this year.